Since I moved back to Malaysia, I've gotten a lot of questions from Malaysians and Singaporeans particularly about how to keep skin oil-free in this humid tropical weather. I myself have an interest in this issue, since I have oily-combination skin, and my makeup literally melts off my face by noon. I won't try to solve the entirety of this question in one blogpost, but I have trialled a few powder-based products that purport to help with oily skin, and want to share with you my thoughts so you can make an informed purchase to help you combat the noontime oiliness. I've also trialled a few skincare and liquid base products, which I will post about at a later date. This is a colourless powder, quite similar in texture and appearance to the Make Up For Ever HD Pressed powder. It comes in a pretty, sturdy purple compact, and does a pretty damned good job at keeping the oils at bay. I apply this with a fluffy powder brush most days, but when I need more heavy-duty oil absorbing, I use a slightly denser brush so I can pack on more powder, and it does work better to a certain extent. 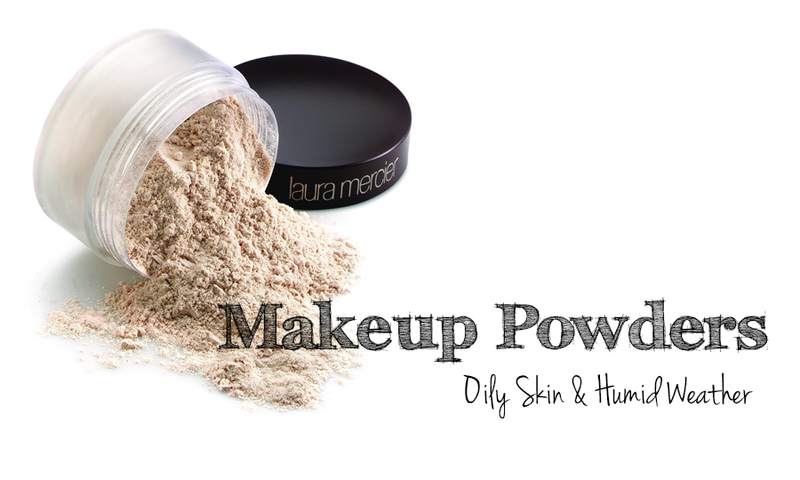 It's not 100% effective, but I would say that it does what it claims to do much better than some other products I've tried, and I'm liking the ease of use that comes with a compact powder. 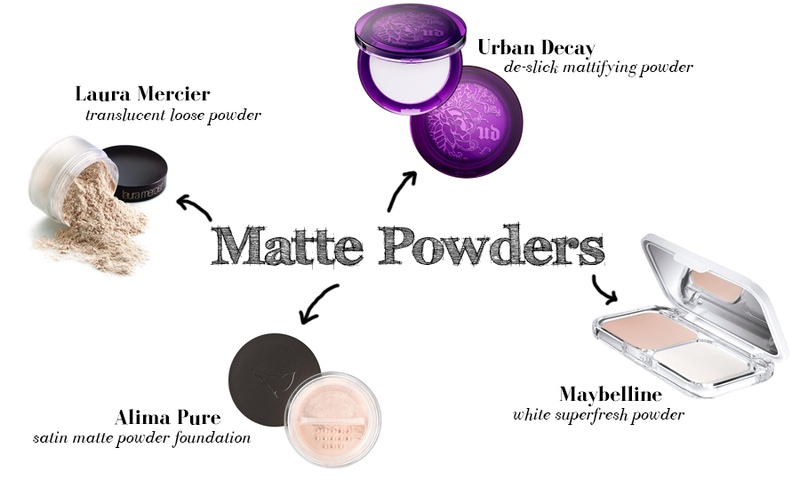 Note that there is no coverage with this powder, simply oil-absorbing goodness. This is a foundation powder, which means you can apply this straight onto your skin after skincare and sunscreen (I would never recommend going without a layer of sunscreen, even if your foundation or moisturiser contains sun protection - in this case, this powder has an SPF of 34 PA+++). It's got a medium coverage and does a great job of evening out the skin tone and hiding minor blemishes and scars. The fantastic thing about this product is that it's being marketed as a one-stop, no-touchups-needed solution, and I think it really does what it says. I apply this using my kabuki foundation brush each day, and the foundation powder stays on throughout the day without greasing up at all. An easy-to-use, lightweight compact also means that you can pop this into your makeup bag and use the packaged applicator sponge just in case you wanted to take your look well into the night (it's not a miracle worker, so you're gonna need to touch up if you're going from a full day's work to play at night). Alima Pure is a brand that sits pretty high up on the list of safe, environmentally-friendly products, which is why I love it so much. Free of practically everything on the EWG's hazardous ingredients list, this product is definitely skin-friendly. What's more, it actually works. Again, I like to apply powder foundations like this one with a kabuki brush, and use a smaller brush to pick up the same foundation and apply it as a concealer. Using this both as a foundation and concealer, most of my scars and blemishes are covered, save for particularly angry-looking ones. I feel comfortable wearing this on my skin, and it keeps it a nice, glowing sort of matte, for well over half a day. After that, a touch up is needed, which can be a little annoying with loose-powder if you're on the go. Other than that, I really enjoy using this foundation. This doesn't actually claim to be mattifying, but I find that applying about 2 light layers of this loose powder does keep the shine at bay for about half a day or so. I like using this at night, because it looks really natural and doesn't dull the colours and textures of the products that I'm using underneath it. Out of all the products on this list, it is also the lightest and doesn't clog my skin at all. And that about sums up my favourite powders at the moment for oily skin and humid weather! Did I miss out any of your favourites? Let me know, I'd love to try out more of these products!